Saudi Arabia maintained its leading position as the third largest producer of ethylene worldwide after the United States and China, with 17 million tons annually in 2016, and $17 billion average sales per year. Saudi Basic Industries Corporation (SABIC) comes in the second place in the global ethylene capacity, with more than 13 million tons per year, producing about 11 million tons annually in the Kingdom through its branches in the Jubail and Yanbu industrial cities as well as its joint ventures for the production of ethylene in China, the UK, and the Netherlands. 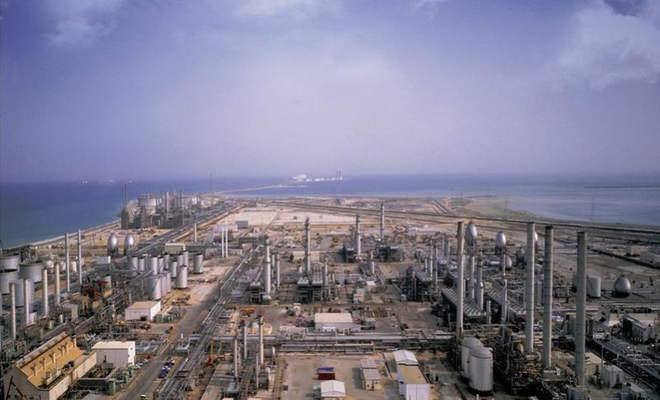 Meanwhile, SABIC's Petrokemya in Jubail ranked fourth in the list of the 10 largest ethylene complexes in the world, with 2.250 million tons per year, while SABIC's Yanbu Petrochemical Company (Yanpet) remained in the tenth place with 1.705 million tons. Moreover, PetroRabigh's new production capacity for ethylene contributed in raising the Kingdom’s total capacity, with its recent success in increasing production of ethane cracker unit to 125 million cubic feet per day, resulting in the increase of production capacity from 1.3 million tons per year to 1.6 million tons annually. In addition, spot ethylene prices in Asia remain stable in September, while business activities have seen a general recession after the hesitation of buyers about the purchase of new shipments of ethylene in light of the negative profit margins. Spot ethylene prices have remain unchanged at 1,195 dollars/ton CFR (cost and freight) NW (northwest) Europe, and 1,155 dollars/ton on South Korea ship. Also, ethylene prices declined to 1,065 dollars/ton CFR SE (southeast) Asia with about $5/ton. On the other hand, some market participants highlighted the widening gap between Northeast Asia and Southeast Asia ethylene prices, reaching to $130/ton. Sinopec/SABIC Tianjin Petrochemical maintained a major position in Asia in ethylene production, with one million tons per year.